The Relentless Reader: Armchair BEA 2014 GIVEAWAY DAY! Armchair BEA 2014 GIVEAWAY DAY! I had hoped to participate in ABEA more than I have this week but personal stuff happened...and well you know how that goes. But I didn't miss the Introduction and I'm going to give away some awesome stuff and hey, aren't those the best 2 days anyway? 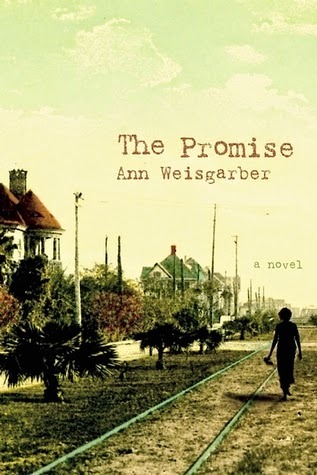 I'm giving away a copy of The Promise by Ann Weisgarber and a super groovy Little Women 500 piece jigsaw puzzle! It's in the coolest book shaped box. Fun! I've made the entry process easy peasy, with only one caveat: you must live in the United States. I'm a poor book blogger who can't afford those crazy international shipping rates! Thanks for stopping by The Relentless Reader. Good luck! Check out the rest of the giveaways HERE. I love the puzzle. Can't believe you are giving that away. ABEA has tuckered me out and I'm remaining more or less silent today. Sometimes we all have to deal with life outside of the blogosphere. Ribbon wrapped cat is cracking me up. ABEA is more work than I thought it would be! love the puzzle, but am in the process of cleaning out here! It is one if my favorite books, although it's tough to get students to read it. Dude, I really want that puzzle! You know I'd put it together and send you photos. I'm just saying. what a great giveaway - the puzzle is especially awesome! Haha I love Pusheen! and thanks so much for the giveaway! I love the cats! They are cute. The puzzle is awesome. ABEA was pretty exhausting! Not quite as bad as the real thing. No wrap-up post for me today, as I'm still visiting other days' posts for a little while. Cute giveaway!